It’s no secret that I’m a big fan of Slideshare. 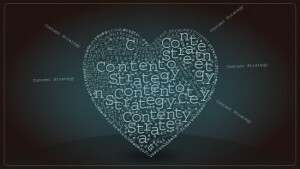 4 of my last 10 posts were slideshares covering some of my own latest thinking on the future of content marketing. And how brands need to start acting like publishers. But I’ve been meaning to cover an amazing Slideshare deck from the good folks at Altimeter. They recently updated their “State of Social Business Maturity” report for 2013. And it included some really interesting findings. For example, they found that only 17% of marketers are truly strategic in their social strategies across the enterprise. They also identified something they called “social anarchy” or uncoordinated social activity happening across organizations because of silos, a lack of leadership, and a clear social vision. There is some progress as more organizations are moving to “hub and spoke” organizational models around social resources and activities. Companies with more than 100,000 employees have moved from around 20 to almost 50 people dedicated to social media since 2010. And almost half are able to report the results of their social media efforts. One of the biggest findings that stuck out to me: content marketing was listed as the top priority for social media activities, followed by engagement and listening. Content wasn’t even on the list of the 2010 survey conducted by Altimeter. So this is further proof of the rise of content marketing as a topic for social business strategy. So while social business is evolving from the channel-focused social media ideas of the early part of this decade, it is clear that content truly is king for the social business of the future. It will be interesting to follow this evolution. From a discussion about channels to a focus on content. From social in marketing and communications into sales, operations and every aspect of the future business. What’s your biggest priority for social media in 2014? Let me know what you think in the comments below. And please follow along on Twitter, LinkedIn, Facebook and Google+ or Subscribe to the B2B Marketing Insider Blog for regular updates. My topmost priority for social media for 2014 is basically engagement. While content marketing is undoubtedly the driving force, far ahead of engagement and listening, I have created a niche that its success revolves around an engaging community from the social media to my business blog. Congrats Daare, sounds like you figured out the formula. At Aarhus University In Denmark our social media toppriority for 2014 must be engagement at our mainsite at Linked In. We have A LOT of content based on our many research projects.